You must see this 2017 home in a great location within trendy Hayes Park Village of Oldsmar! 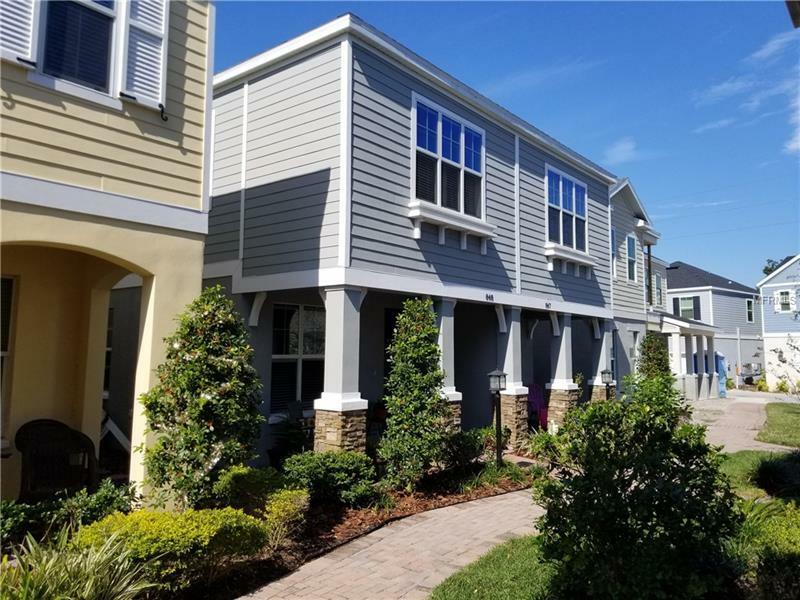 This hidden gem is one of the newest Pinellas county neighborhoods built with modern touches and upgrades. You'll love the brick paver pathways and quaint front porch, volume ceilings, crown molding, energy efficient double-pane windows, stainless steel appliances, and gorgeous wood cabinets! This open style home has 3 bedrooms upstairs, 2.5 baths, and a one car garage. Features also include granite countertops, porcelain tile throughout the first floor, and Coastal wood look laminate floors for easy maintenance upstairs. This central location gives you access to great schools, great shopping & restaurants and the award winning Pinellas County beaches. Come see this move in ready home today. Pet Restrictions: Docs state domestic pets allowed per city rules. See Pet restrictions in HOA documents.